I hit on this idea after watching our iPads fall over on the kitchen counter for the thousandth time, where we (attempt) to store them vertically against the wall, but which I have always had to prop up with a bottle of wine lest the slide across the counter. My brainstorm: A paper napkin holder. 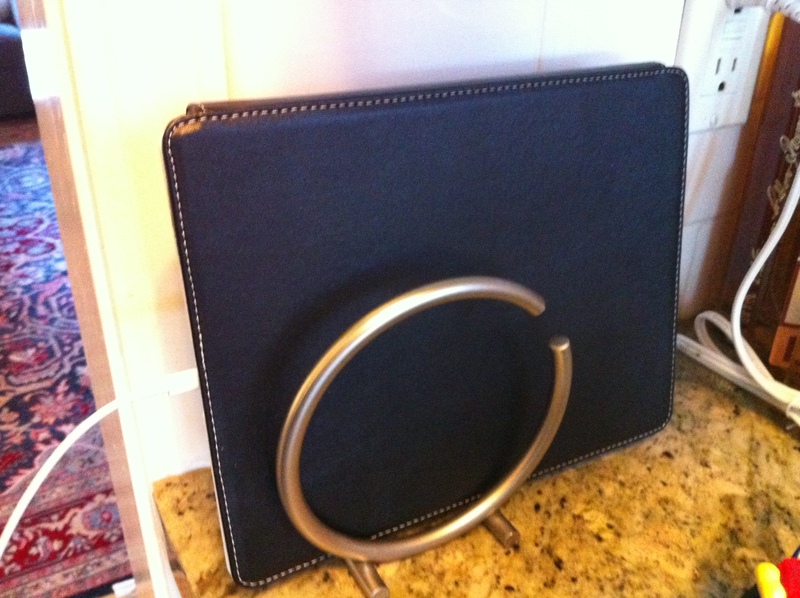 This $12 job from Amazon is solid metal (so heavy enough to not tip over), compact (to take up minimal space), and looks pretty stylish. Two iPads (both with cases) fit in it side by side perfectly. 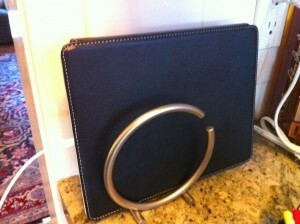 Lifehacker has a similar idea using an ugly Ikea napkin holder and a MacBook.